2000 was the 150th Anniversary of the Public Libraries Act 1850. 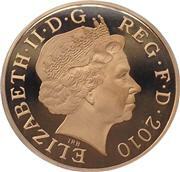 Obverse is the portrait of Queen Elizabeth II by Ian Rank-Broadley. Mintage: 11,263,000 (may include coins issued as part of a set). Minted at The Royal Mint. Into the New Century. Fears of the Y2K computer problem pass without problem. Elizabeth II is in her 48th year as Queen. The Olymic Games are in Sydney, Australia. In Russia, Vladimir Putin is the new President. Bill Clinton is U.S. President but George W Bush has narrowly won the election to be next President. The British Fifty Pence (50p) coin was introduced in October 1969 as part of the decimalisation of the British currency. It replaced the 10 shilling note, both being equivalent to half of one pound (£0.50). It is colloquially called the '50 pee'. The coin has 7 sides (heptagonal) but has rounded corners on each apex so that the coin will roll and work in vending machines. 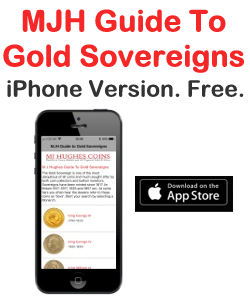 Originally, the coin has a diameter of 30mm and weighed 13.5g, but in 1997 this was replaced with a smaller version of diameter 27.3mm and weight of 8g. The thickness was kept at 1.78mm. The coin is made of Cupro-Nickel (75% copper, 25% nickel). The larger version was demonitised (i.e. ceased to be legal tender) in 1998. The reverse has shown a large variety of important UK milestones or people, and in doing so has made the coin very popular with collectors. Besides the coins intended for circulation, the Royal Mint have issued silver (normal and Piedfort), platinum and gold proof versions of the 50 pence piece. There are also 29 different variants which were minted in 2011 in celebration of the 2012 Summer Olympics. PUBLIC LIBRARIES 2000 FIFTY PENCE 50p UK - RARE - COIN HUNT. 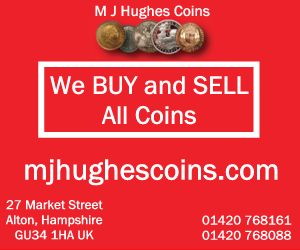 Circulated 50p coins - British Fifty Pence Coin Hunt. 2000,50 PENCE COIN - PUBLIC LIBRARIES BRILLIANT UNCIRCULATED CONDITION. 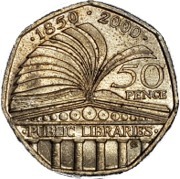 PUBLIC LIBRARIES 2000 FIFTY PENCE 50p COIN.